Back by popular demand!! What happens when you reverse all of the pronouns in some of Broadway’s most famous songs? 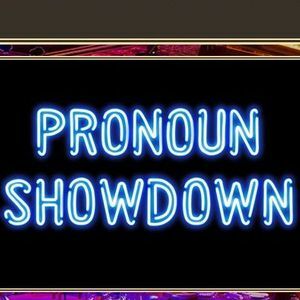 Back for another round of word-reversing fun, join a cast of Broadway headliners for a spectacular Pronoun Showdown! Twisting onstage classics and refining showtime hits, you won’t want to miss this unique and unparalleled evening.